The brush-washer is made from an almost entire gourd completely encased in a sectional mould, with only the junction of the stem cut off to make the mouth. The poem is probably an allusion to a quatrain by the Tang poet Wang Wei. The poet sends news to himself to Loyang by a returning traveller "There is a heart of ice in the vessel of jade". Ice denotes purity and jade other noble qualities. 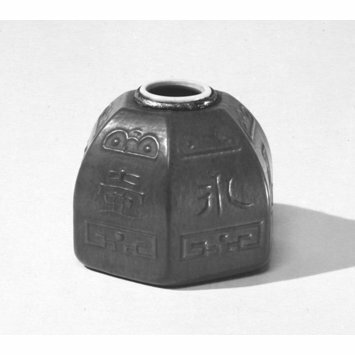 The phrase on the brush-washer thus evokes the correspondence between the austere purity of the scholar's heart (vessel of ice) and the most perfect of all natural phenomena (autumn moon). Clunas, Craig. 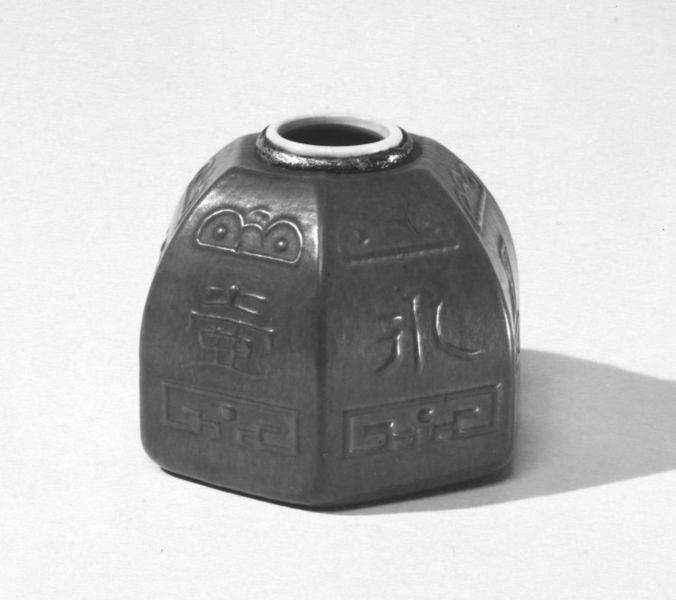 Chinese Carving. London: Sun Tree Publishing Ltd in association with the Victoria & Albert Museum, 1996. p. 68, fig. 83. Addis, J.M. 'Impressed Gourds'. Oriental Art, 1964. N.S. vol. X, no. 1.